The ultimate final showdown! at last, key additions have been made to the series! 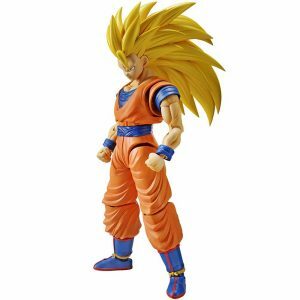 it’s Son Goku Super Saiyan 3 action figure ! using a Muscle build system to accurately construct the muscular Dragon ball character’s physique, you can pose this figure in a variety of ways! display this along with figure-rise standard kid Buu and recreate iconic fight scenes! set includes two types of face parts, Kamehameha wrist, right wrist, and Kamehameha effect parts. 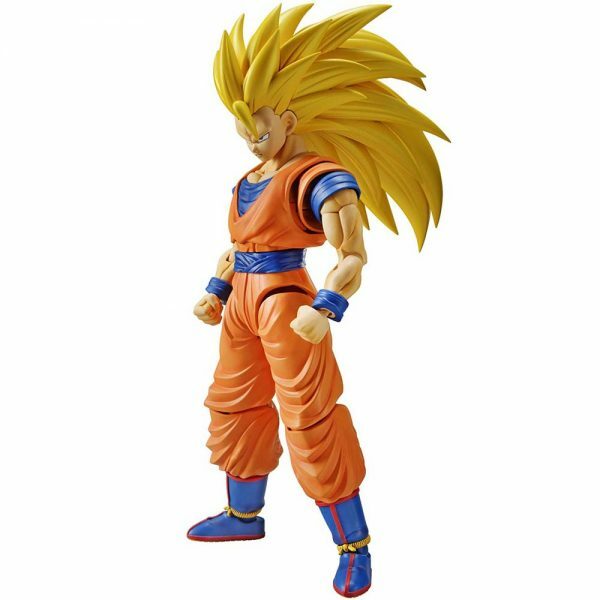 This easy to build kit of Son Goku Super Saiyan 3 from “Dragon Ball Z” features our hero in Super Saiyan 3 form, and is fully posable upon completion! The wrinkles and folds in his clothing help achieve a more natural look when posed. 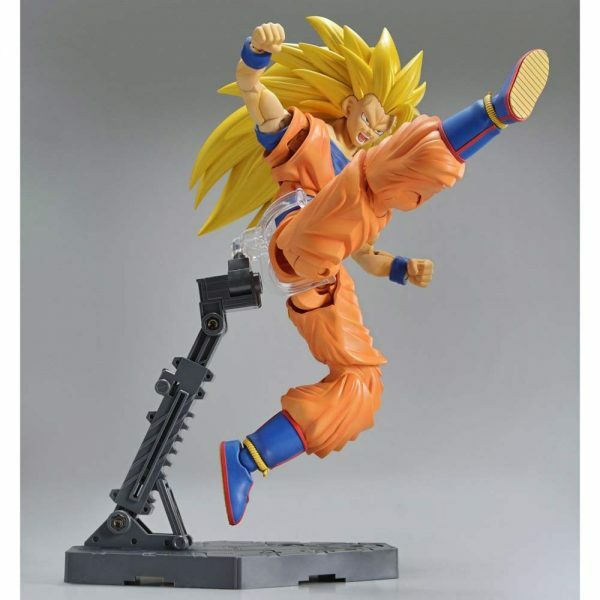 Included are two facial expressions, extra hands, Kamehameha effect parts, and a Kamehameha effects stand! He measures about 18cm tall when completed. Face parts can be selected! 2 kinds of face parts are included! By combining a strong muscle parts, it is possible to create a body that has been carefully trained in the character of Dragon Ball with their own hands, but the new plastic model construction system !!!!! Groot Gadgets is a huge curated list of awesome products. We find and post the cool stuff to buy online. Whether you’re looking to buy something for yourself or a unique gift for someone you know, you are at the right place. With some of the most unique products you’ve ever seen, it’ll be hard not wanting to buy everything; If you’re unable to spend thousands of dollars on some of these items, just go through our website and you’ll be able to get something incredibly awesome and unique gift, shipped worldwide absolutely FREE. Our curated selection of cool stuff to buy online gifts India make boring everyday tasks like opening a beer bottle, taking selfies or repairing your bike little bit more exciting.